Kick-starting this week’s retrospective, here are some inspirational Sketch Quotes, to help you push past that Monday feeling. 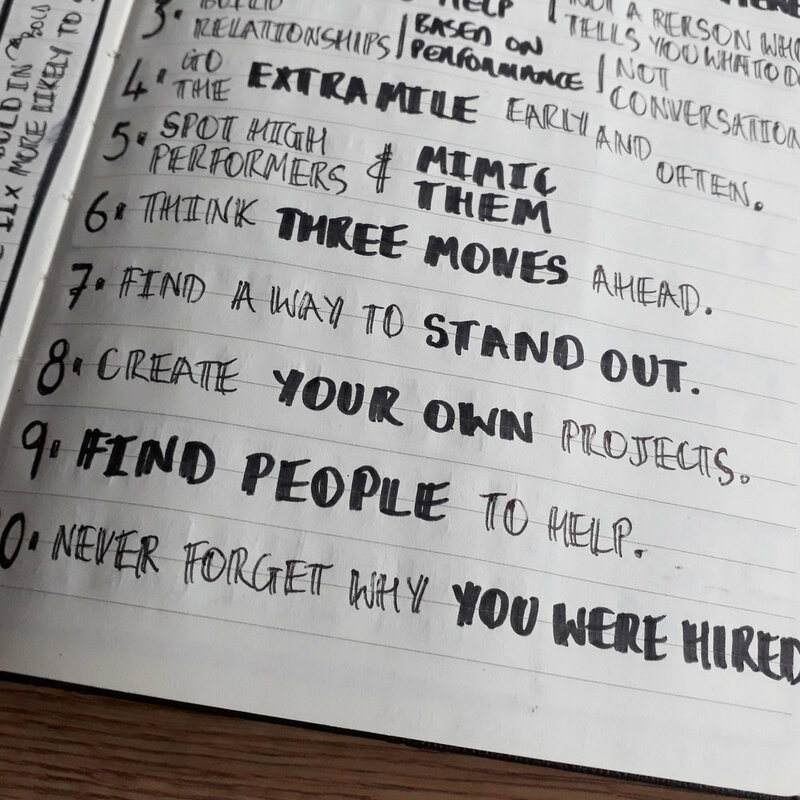 10 Ways To Be Sensationally Successful At Your Job inspired by Dharmesh Shah article of the same name which you can check out here. I try to do as many of these as I can, at times it can be a struggle - as Dharmesh says in his article, “It can seem like and endless Groundhog Day experience”, but I remember that in the end, it will all be worth it… Just trust the process. This system, designed by Edward De Bono, enables the user to think and speak without ego, highlighting different aspects and switching perspectives, therefore improving lateral thinking and boosting both innovation and creativity. The key takeaways for me: be inclusive, improve always, raise others and live passionately.